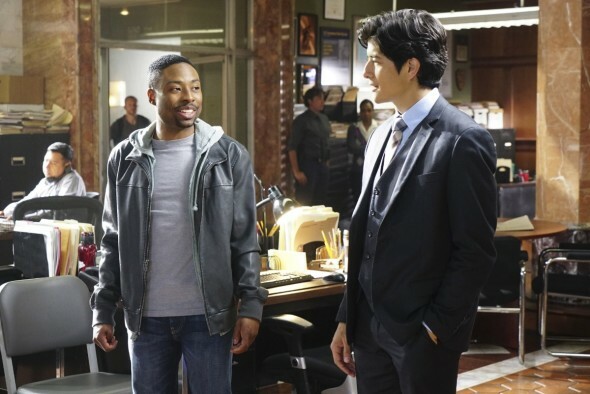 Rush Hour may be over, but CBS is sticking with star Justin Hires. Deadline reports the actor has been cast in the network’s upcoming MacGyver reboot. Based on the popular ’80s action drama, the revival series will follow a young Angus MacGyver (Lucas Till). George Eads also stars. Hires will play “Wilt Bozer, MacGyver’s ambitious roommate.” MacGyver is slated to premiere this fall on CBS. What do you think? Were you a fan of Hires on Rush Hour? Will you watch the new MacGyver series? More about: CBS TV shows: canceled or renewed?, MacGyver (2016), MacGyver (2016): canceled or renewed?, Rush Hour, Rush Hour: canceled or renewed? Justin Hires is a talented actor and comedian! He was GREAT on Rush Hour and will be GREAT as the co-start of MacGyver! CBS knows talent when the see it:-)! Congats, Justin!! Justin HIres was the worst part of Rush Hour. What an annoying character. I hope he doesn’t tank this show as well. Here comes the hateful words. I feel sorry when someone get casted for a “white” role and have to be hated on because “Hollywood” can’t stand to make original characters for others or use characters that already exist.